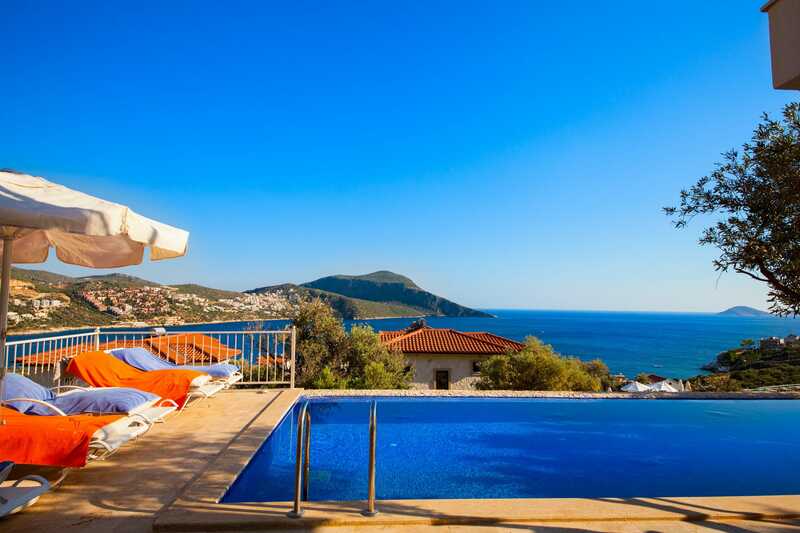 Likya View Villas are a group of four 4 bedroom villas, each sleeping up to 8 guests. 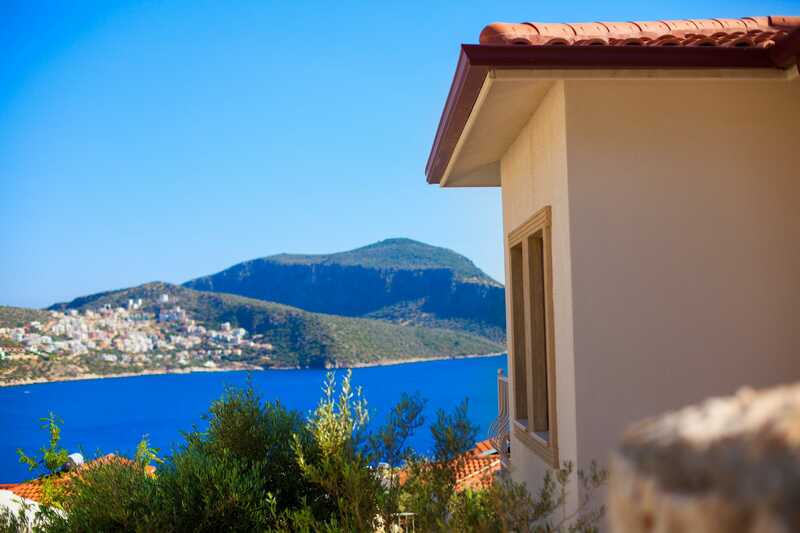 The villas are in a fantastic location overlooking Kalkan bay with stunning sea views and are only a 10 minute walk to the Old Town. 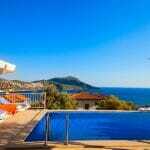 The villas consist of Villas Dionysus, Hermes, Iris and Selene. 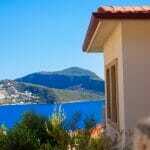 These villas are next to the Asfiya Sea View Hotel. The 5* Likya Residence + Spa Hotel, Pavilion Restaurant and Yali Beach Club are only a short walk away. Villa guests are able to have breakfast at the Asfiya Sea View Hotel, by prior arrangement and at an extra charge. 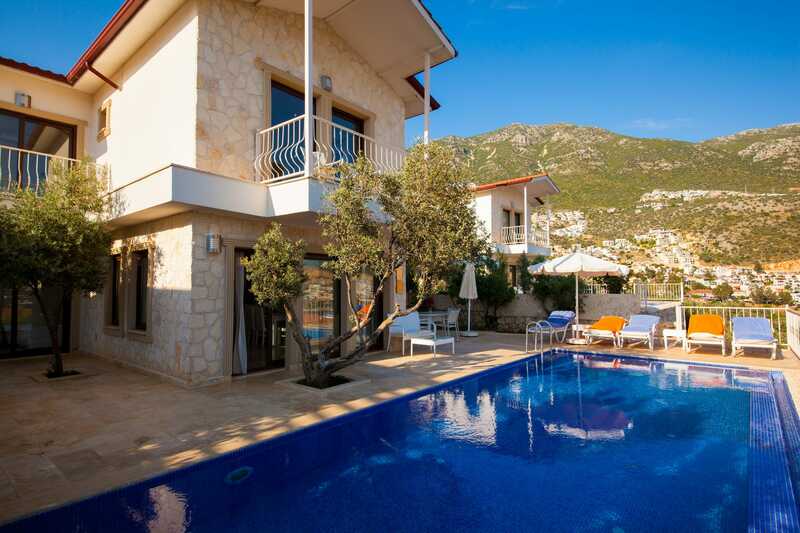 The photographs shown are of Villa Iris. 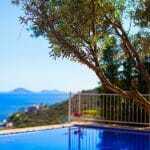 Views from each villa of the four villas do vary slightly but all of the 4 bedroomed villas are identical in layout, design and internal fittings. 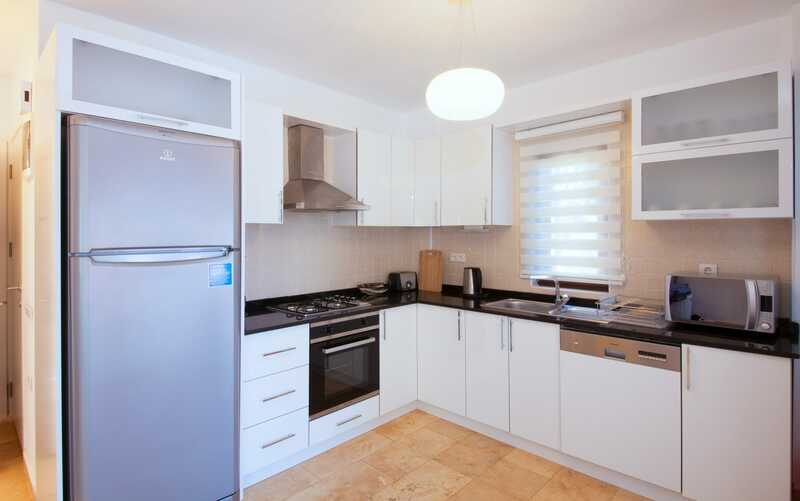 The villas have air conditioning in every room and WiFi Internet access. The entrance door leads into a spacious open plan lounge, dining area for 8 guests and kitchen, which are located on the ground floor. 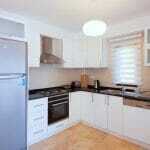 Beautifully furnished, the lounge has ample seating, satellite TV, a DVD player. 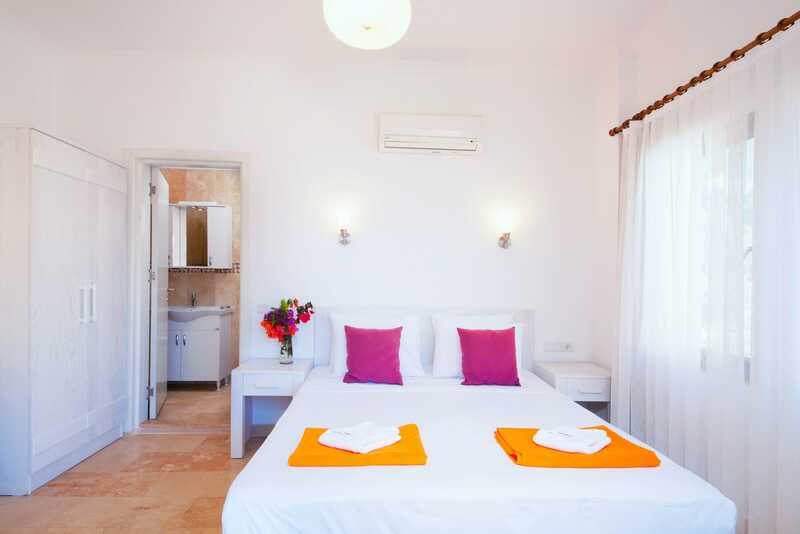 Each of the villas has 4 bedrooms, 3 doubles and 1 twin room with ensuite shower rooms. 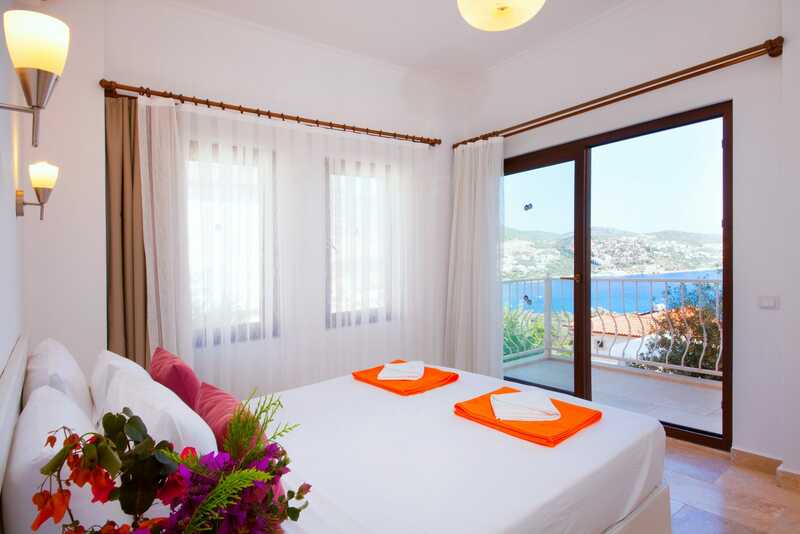 The bedrooms on the first floor have access to a large balcony, with seating and wonderful to sea views to enjoy. 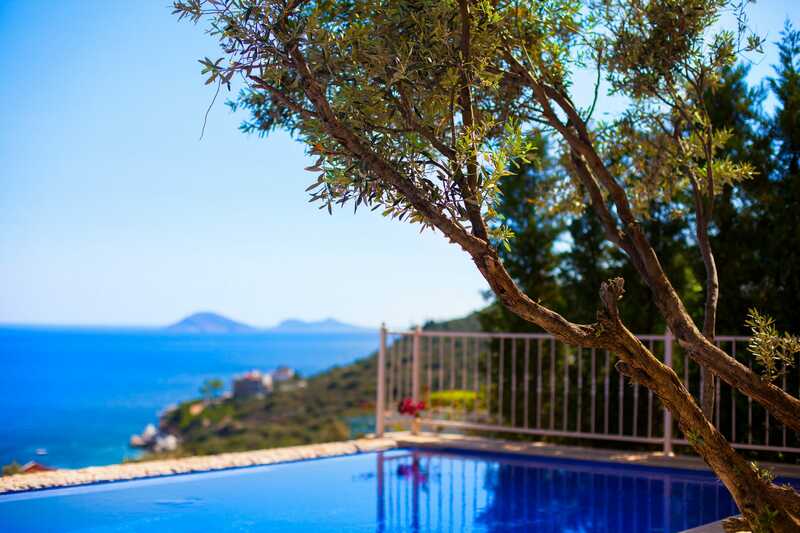 If you would like the same location but require a smaller villa, please have a look at the Likya View 3 bedroom villas.